Our community has 3,117 members, 279 online now. We’ve published 9,774 stories, shared 8,323 images, made 10,347 blog posts and written 121,511 forum posts. 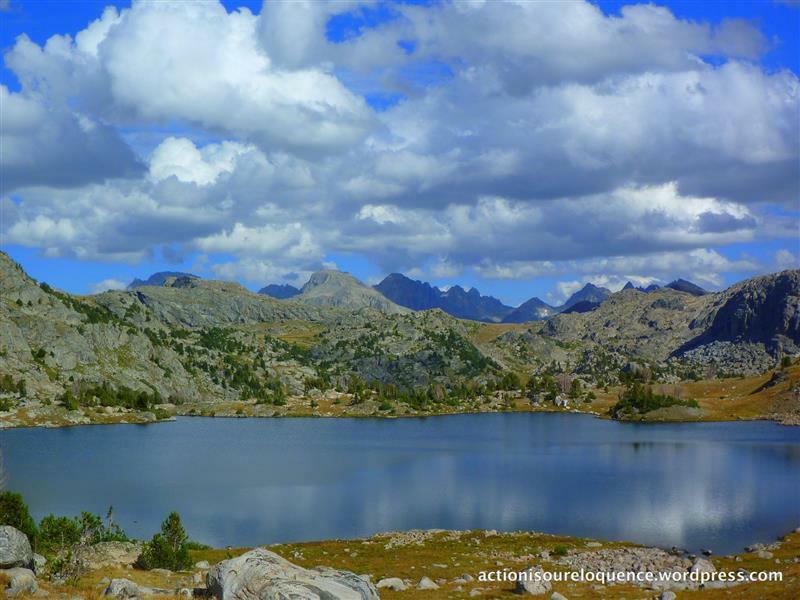 The Wind River Range in western Wyoming is a backpacker’s paradise. Six hundred miles of trails through rugged wilderness provide access to granite peaks, glaciers, clear lakes, rushing streams, and flower-filled meadows. I became hooked on the Wind River Range the first time I saw it. After that, a backpacking trip to those mountains became an annual event in my life. Just like Christmas and the Fourth of July. But eventually, distance and other summer-filling events curtailed my trips to western Wyoming. Through the years, the Wind River Mountains always lingered in my thoughts. Especially an area called Lozier Lakes. I typically pitched my base camp at a lower elevation and then made day hikes to various areas such as the Lozier Lakes. The main Lozier Lake is located near the tree line, deep in the Wind River Wilderness. Just a few trees dot the area, with rocky, desolate and beautiful surroundings being reflected in the clear water. Peaks over 13,000 feet in elevation loom to the north. Upon quite moments of reflection, I often returned there in my mind. In such moments I began contemplating my next trip. A dormant seed planted in my mind years before began to take root and grow. The ambition to hike beyond Lozier Lake became an obsession. My plan was to backpack all the way to the lake in one day and set up camp. That would give me at least a couple of days to hike well beyond the lake in different directions. It seemed a long wait until the next July. I called all of my backpacking buddies, but no one could spare a week to travel to Wyoming. What the heck, I would go alone. There’s something about being in the wilderness alone. Your senses become very keen. I wasn’t worried about getting lost. But if you fall, twist an ankle, break a leg, or meet an angry grizzly bear, then you may have found your final resting place. My heightened senses added to the thrill of the hike. I reached Lozier Lake on the first day with plenty of time to pitch my tent within sight of the lake. My tent would make most backpackers laugh. It is old, bright orange, and does not have a rainfly. I fashioned a rainfly by tying a nylon cord from the top of one tent post to the other, then draping a sheet of plastic over the top. The nylon cord held the rainfly a couple of inches above the tent. Since the plastic was the same color as the tent, it almost looked factory-made. At dawn on the second day, I crawled out of my tent only to find that a cold, dense fog had settled in. Visibility at this elevation was only a few feet. Hiking was out of the question unless the fog lifted later in the day. It didn’t. My first opportunity to hike beyond Lozier Lake came and went. But I still had another day, so I gathered plenty of firewood and spent the day relaxing and dreaming of the hike to come. Dawn on day three. Still fogged in. Very disappointing. I puttered around camp all morning, made breakfast and later a nice lunch. It was while napping in the mid-afternoon that I heard it. Grrrrrr. I perked up immediately. While lacing up my boots I heard it again. A short Grrrrrr. I crawled out of the tent and looked all around. Searching the perimeter of my camp, I saw no signs of the bear. It was too foggy and much too late in the day to pack up and head out. So, I gathered up plenty of firewood and prepared for another night. There were a few tree stumps nearby and I dragged them to my camp. The burning stumps kept me company all night while I watched and listened for the bear. But there was only a porcupine checking me out (and porcupines don’t growl), and a nearby rockslide echoed in the middle of a still night. I slept for a couple of hours before dawn on day four. Still foggy, but not quite as bad. Nevertheless, it was time to break camp and hike out of the wilderness. Time to leave without hiking beyond Lozier Lake. As I was taking my tent down a light breeze made my homemade rainfly flutter. It vibrated against the nylon cord. Grrrrrr.